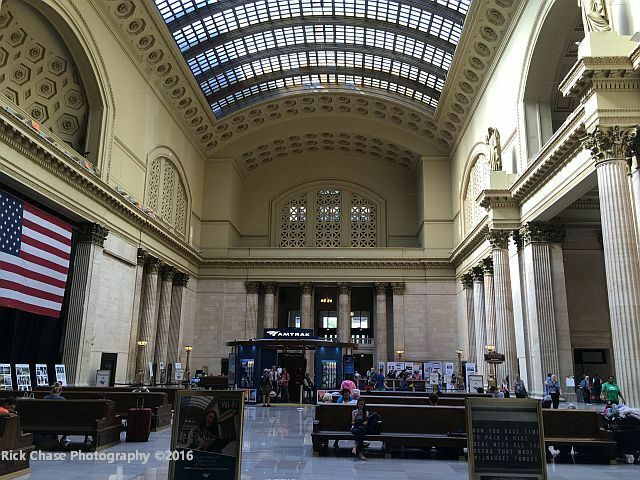 Last July 2016, my daughter Kristen and I took the SouthWest Chief 4 from Los Angeles to Chicago. This was my second trip and Kristen's first. We flew into LAX the previous day to insure we wouldn't be delayed and miss our train. We spent the night at a small hotel in Redondo Beach. The cab fare was a bit pricey so the next day we took a local bus back to LAX for about $2.50 and it took about the same time as the taxi. 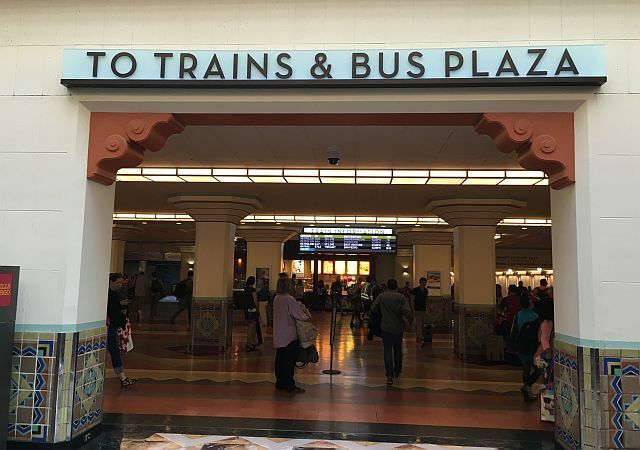 At LAX, we caught the FlyAway bus (green sign at Arrivals of each terminal) to Union Station for $9. A real bargain. With traffic, it took us over an hour to get to Union Station. The bus runs every ½ hour. Be aware, the driver doesn't always wait to see if there are any passengers for that particular bus. The driver stepped off, stepped right back on and left us standing there. The next bus still got us there in plenty of time. 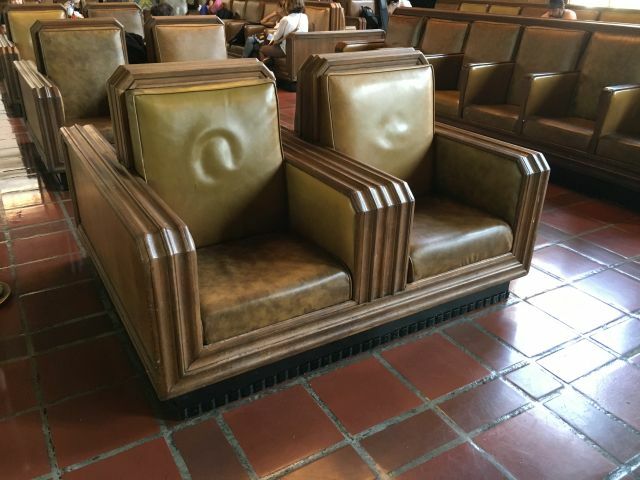 We checked in at the Metropolitan Lounge (upper level behind the rental car counter), which is for those passengers booked in a Roomette sleeper car. The Metropolitan Lounge is a quiet respite with free snacks, beverages and wifi. We then walked around and outside the station. 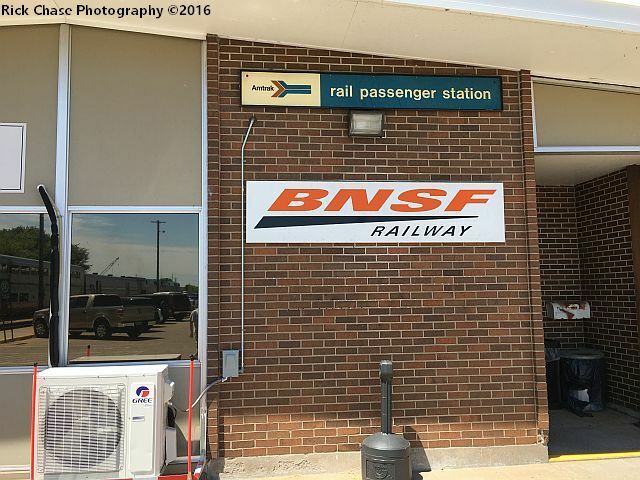 Walking out the side door, I was able to walk up a sidewalk and over to the departure platforms to photograph several MetroLink trains with BNSF helper engines. We then met back at the Metropolitan Lounge to retrieve our bags and proceed to our platform as the Chief backed in to position. 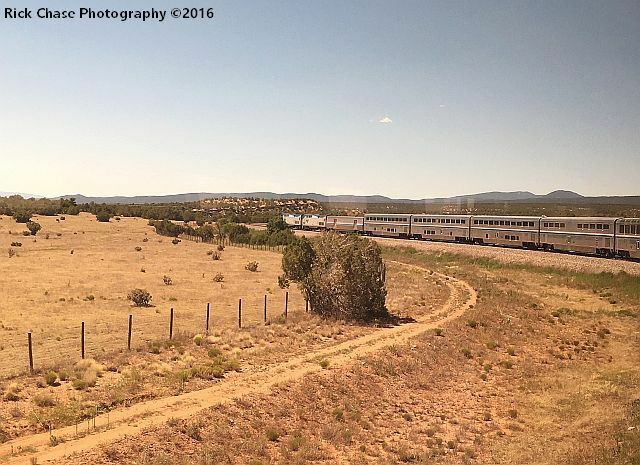 The SouthWest Chief backing into the platform. My daughter Kristen waiting to board. We were met by Marshall, our sleeping car attendant, who verified our tickets and directed us to our roomette. He was wonderfully attentive, treating each passenger as his personal guest. He really went the extra mile helping me find my iPhone after it fell behind my sleeping bunk. 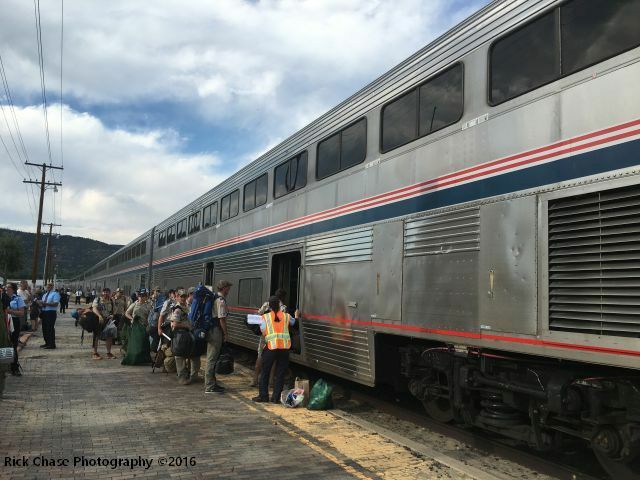 A word on sleeping car attendants. These folks work really hard, always available for passenger's requests and needs, setting up our roomette each night for sleeping and then changing it back for day travel. Tip them well, they earn it. Don't forget your dining car attendants either. After placing our suitcases in the storage area on the lower level, we proceeded to room 8 on the upper level of car 431, the second of the 2 sleeper cars. 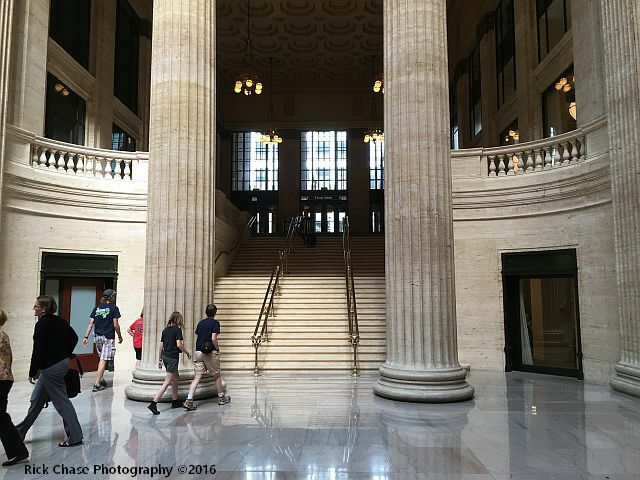 I prefer the upper level as it is quieter than the lower level and provides a better view. 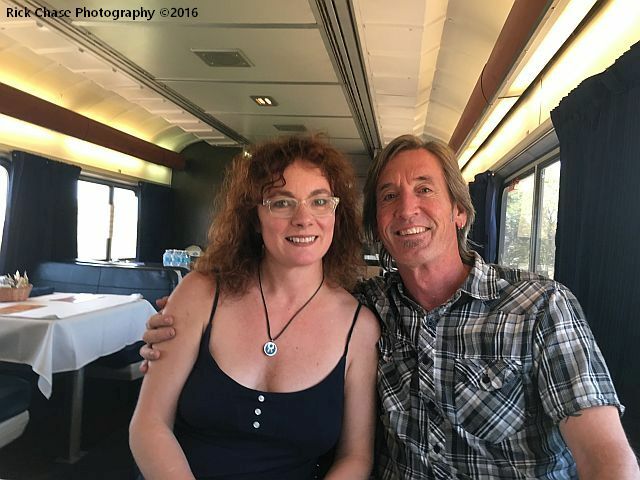 After getting settled in, we made our dinner reservation and walked to the dining car which is adjacent to car 431. Lunch and dinner require a time reservation while breakfast is first come-first serve. 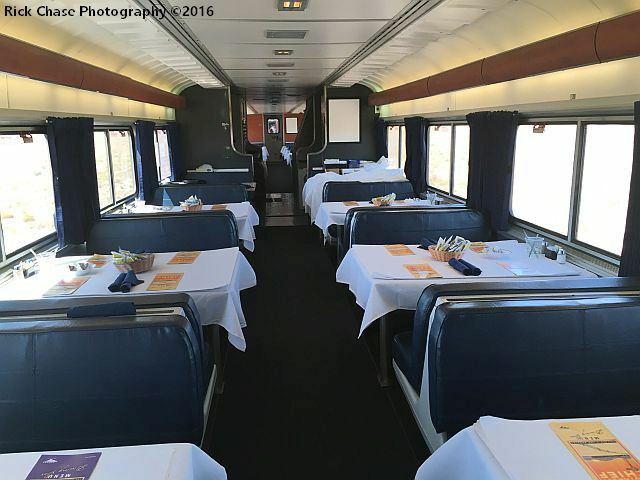 Meals, included in the roomette ticket, are a fun way to meet other travelers as four passengers share a table. At dinner, we met Reynold & Brenda of Santa Monica, traveling to Chicago for a conference. 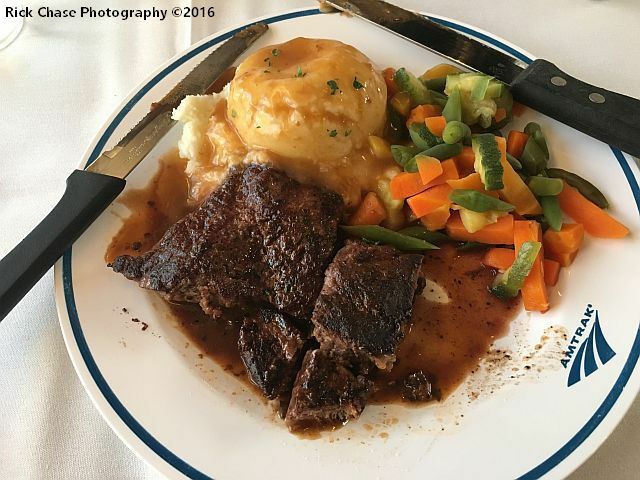 The Amtrak Signature steak is not presently served the first night so I had the Salisbury steak which was almost as good. It was still light out as we stopped at Riverside and San Bernardino but facing in to the sun prevented a good photo op. While we were enjoying dinner, Marshall made up our beds so they were ready when we returned to our room. Sleeping in an Amtrak roomette take some getting used to. The upper bunk in particular requires a bit of gymnastics to get settled in. The bunk itself is surprisingly quite comfortable. These trains rattle a bit so ear plugs and some tape for a loose door is sometimes a good idea. For some people, Sominex is a help. The shower is on the lower level and there is usually enough hot water if you get there early. 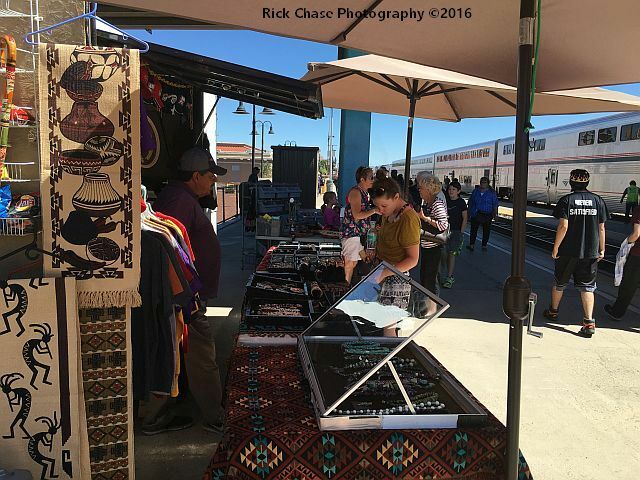 Soap and towels are provided by Amtrak. For breakfast I had the Classic Railroad French Toast. 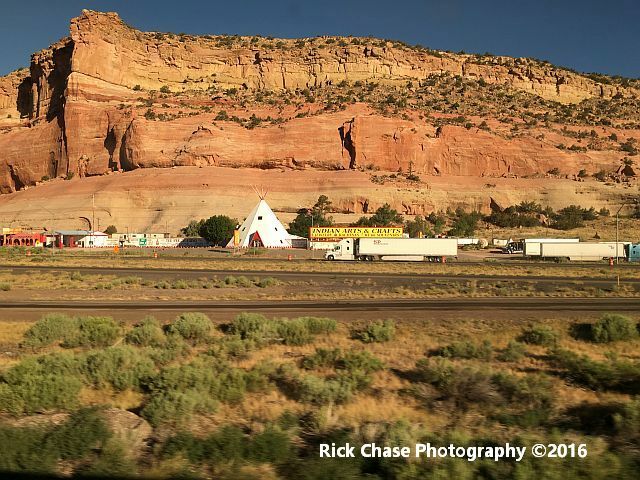 The first morning on the eastbound train offers stunning views of the Arizona and New Mexico landscape. 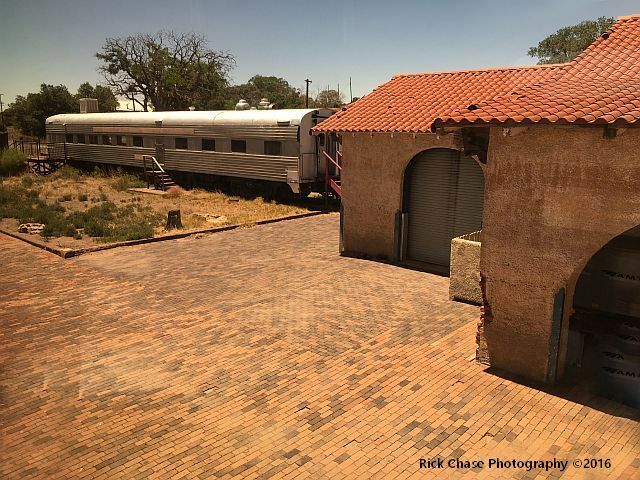 The observation car has large windows to view the surrounding scenery along with a sufficient supply of electrical outlets for your smart phone. 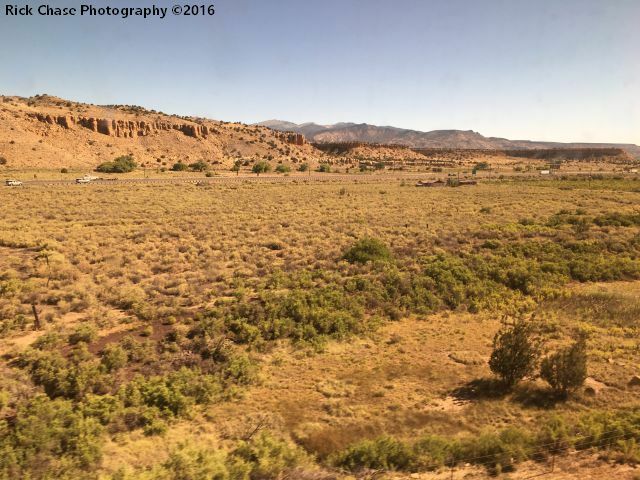 A word on photography, your roomette is a better choice for taking pictures as the large windows in the observation car can cause some annoying reflections. And keep your flash turned off. View from the rear of the train. Although most of the stops are off and on, the chief does make several extended stops for refueling and crew change. 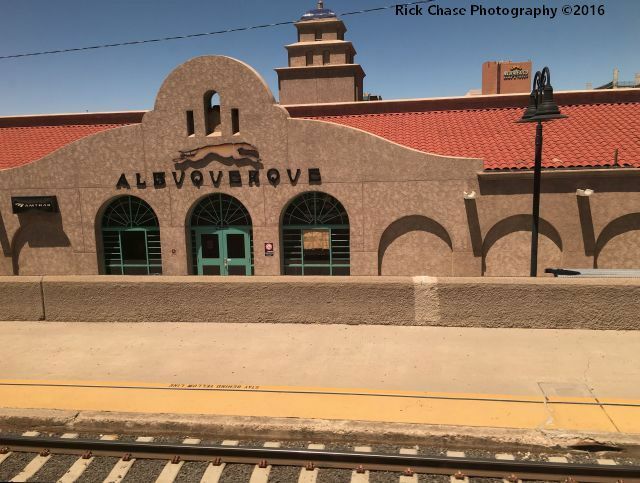 Albuquerque is the first such stop with usually 45 minutes to get off, smoke, and purchase souvenir items from the Native Americans that have tables set up on the platform. I made sure I had enough time to walk to the overpass (10 minutes each way) to get this shot. 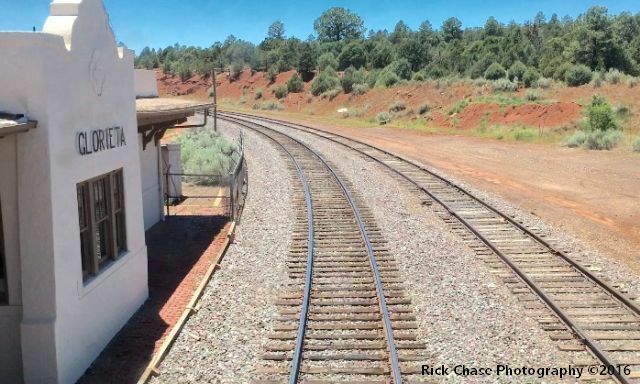 Be sure you allow yourself enough time to get back to the train. We had 1 hour that day. 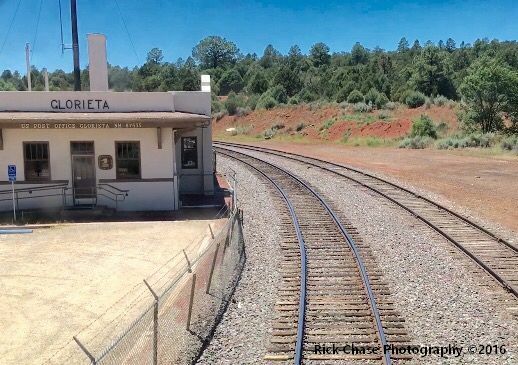 Remnant of the Santa Fe Railroad. Several Rail Runners in their yard. A side track off to somewhere. We enjoyed lunch with Russ & Robin from Albuquerque. 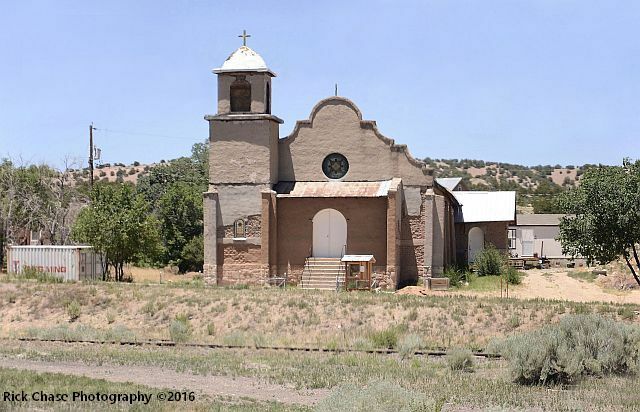 After lunch we stopped at Lamy, once a connection to Santa Fe for the Santa Fe Railroad (Atchinson, Topeka & Santa Fe Railroad), giving us a nice view of an early 1900's mission chapel and the no longer running Santa Fe Southern Railway tourist engine. After we departed Lamy, we rode around the Glorietta Curve. 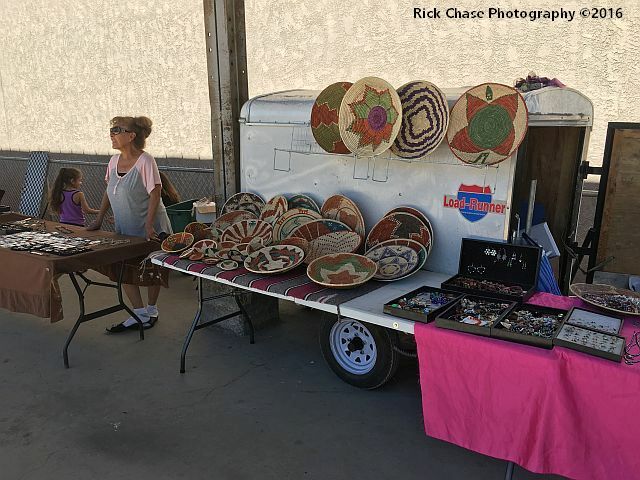 Glorietta, was the site of Battle of Santa Fe and Glorietta. 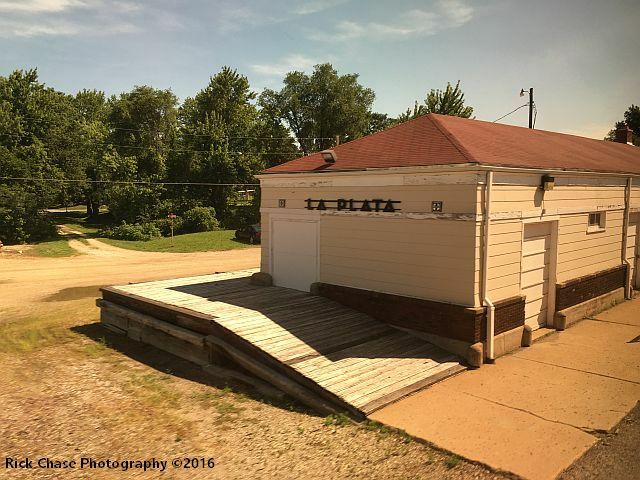 The former station now serves as a post office. 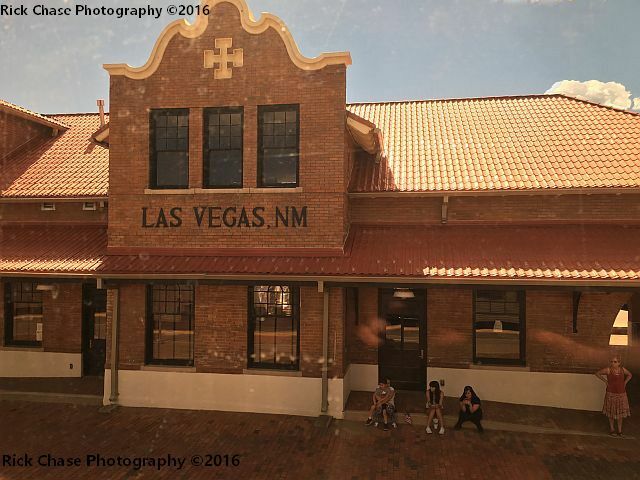 Our next stop was Las Vegas, New Mexico, the "original" Las Vegas. 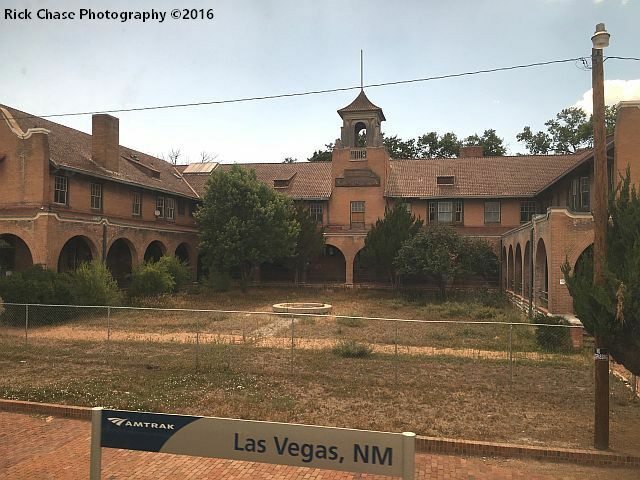 Next to the station is an original Harvey House, the Castaneda Hotel, recently purchased and being renovated. Walking to the last car, I was hoping to see one of the original semaphores and was lucky enough to catch the west bound SWC3 as we waited for it to pass us. From the last car, I got a nice shot of our train as we traveled around the Ribera Curve. 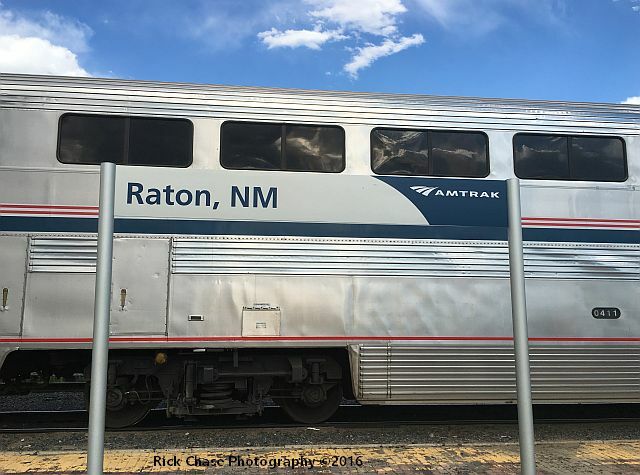 Our next stop was Raton, N. M. where it's not uncommon to see a group of boy scouts either boarding or getting off for Camp Philmont, a well-known scout camp. 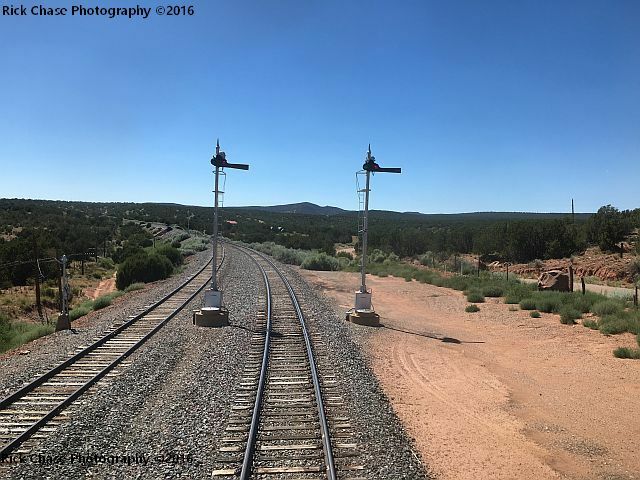 Raton offered another chance to step-off the train and stretch our legs. I wanted to get a front shot of the lead engine, but just then we heard the horn indicating we were about to leave. 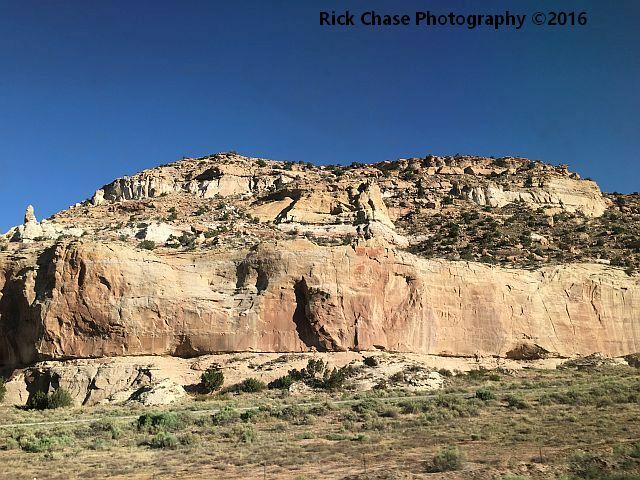 Leaving Raton, we climbed the Raton Pass, the highest point of the original Santa Fe trail at an elevation of 7, 588 feet above sea level. After leaving the tunnel under the pass, we were now in Colorado. 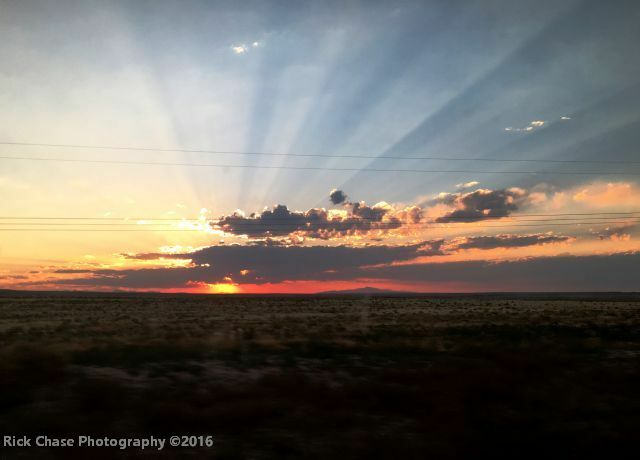 After dinner of the famous Amtrak signature steak, we were treated to a spectacular Colorado sunset. 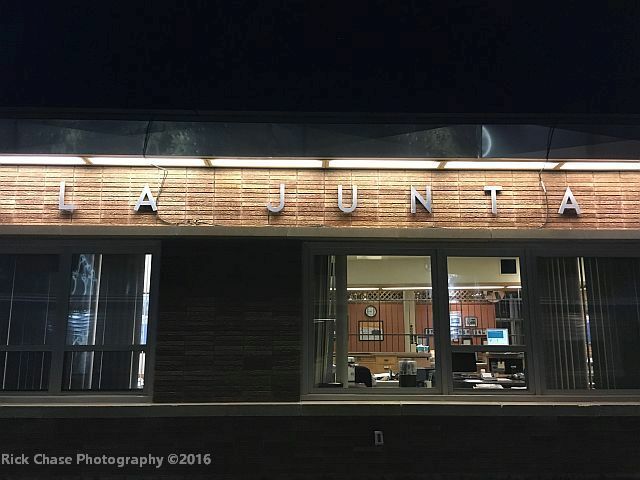 An evening stop (and crew change) at La Junta, offered another opportunity to get off the train, stretch and catch an evening shot of the station. During the second night, my daughter who had the lower bunk and window, saw an amazing amount of stars in the night sky. The next morning was started with a nice omelet. 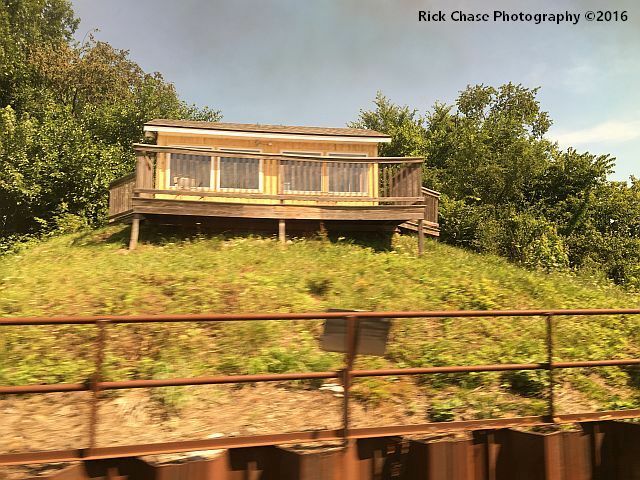 After leaving La Plata, we passed the APRHF Lookout cabin and deck used by rail fans for trains spotting. I was surprised to see the deck empty that morning. 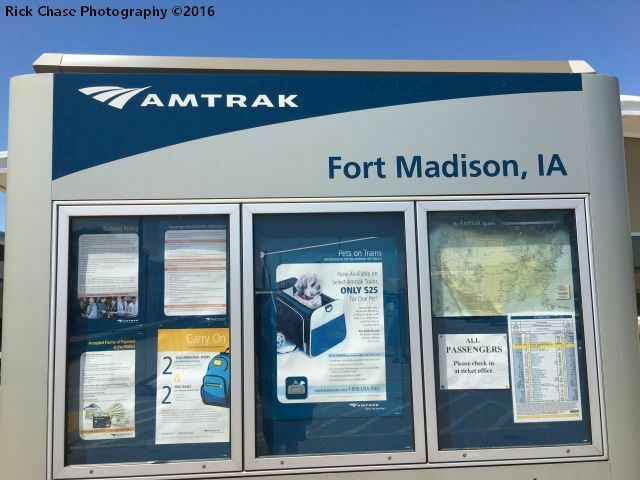 Our next stop was Fort Madison, IA serving both Amtrak and BNSF. 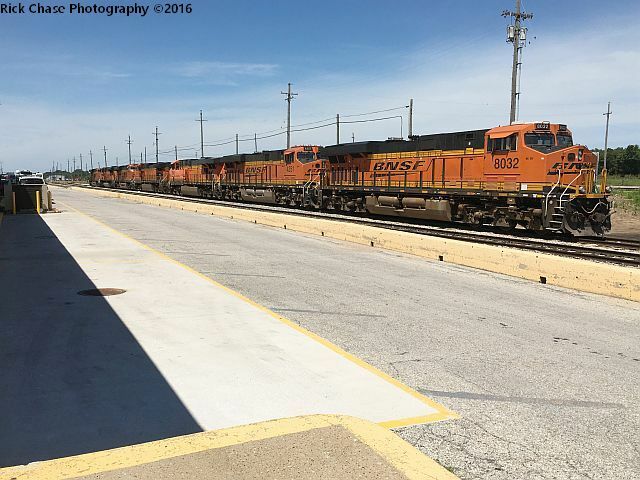 Here we had another opportunity to step off the train for a stretch and a photo op of a string of BNSF power. 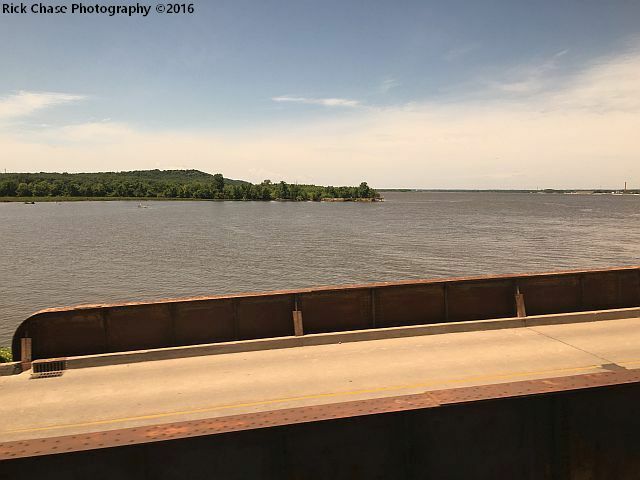 The next highlight was crossing the Mississippi River. You'll need to be on the right side of the train to see and appreciate the magnificence of this river. 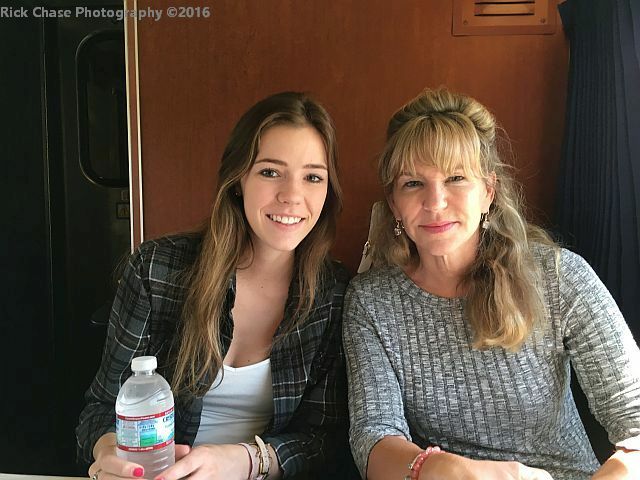 We enjoyed lunch Mia and her daughter Loren on their way to Chicago. We both had the salad for a light meal. 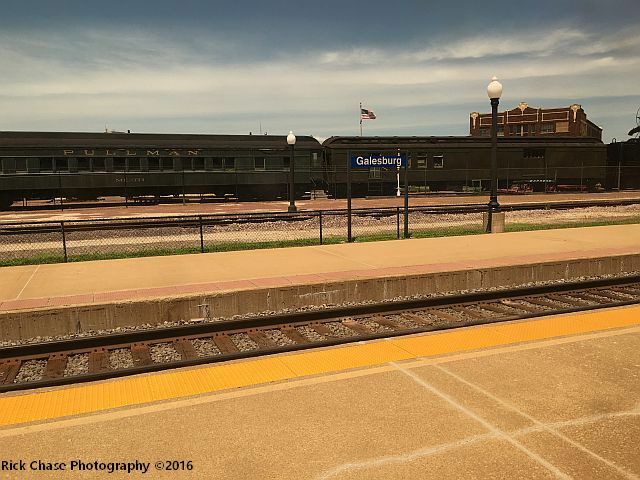 Our next stop was Galesburg with some wonderful railroad history. Unfortunately, it was a quick stop not giving us time to explore the area. After the Chicago suburbs of Mendota and Naperville, we were informed we'd be stopping briefly for a transfer of some sort with the SWC3. The lead engine seemed to stop right outside our window. As we approached Chicago and Union Staton, we had a nice view of several Metra trains as well another Amtrak train. Looking forward to spending a few days in Chicago, we had previously booked a place to stay on Air BNB. It is a wonderful (and less expensive) alternative to the downtown hotels. 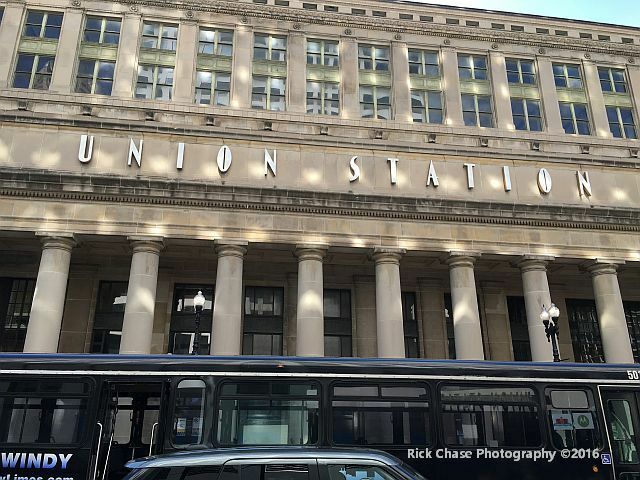 For transportation in Chicago, Uber is a wonderful alternative to taxi's and very reasonable. 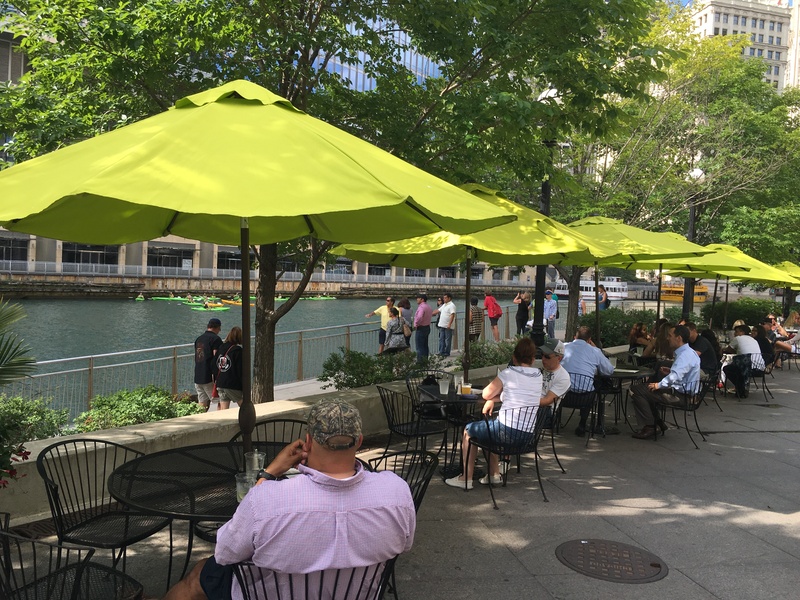 The RIVER Walk is a wonderful way to relax and enjoy a meal or just people watch. And a trip to Chicago wouldn't be complete without a boat tour on Lake Michigan. Or a ride on the "L" on the famous Chicago Loop. And a walk over to W. Roosevelt Rd. for some of the best rail fanning anywhere. 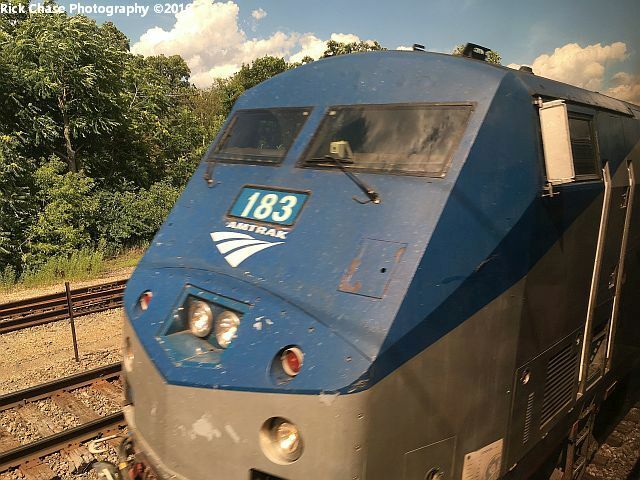 You'll see both Metra and Amtrak trains. 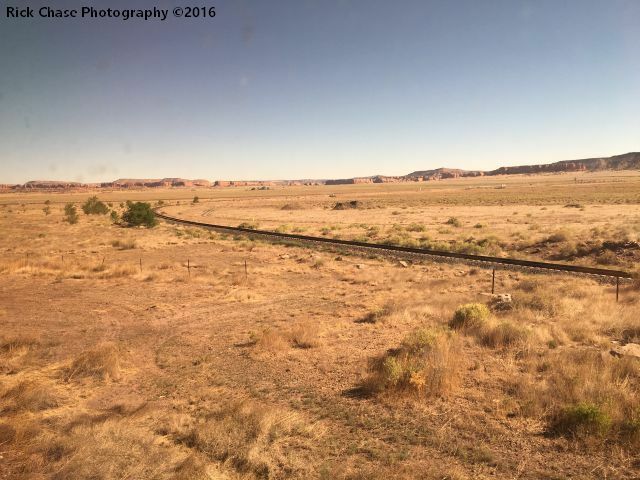 When traveling cross-country, we always book a roomette for several reasons. Privacy, meals are included and we have a bed, not a seat, to sleep in. The cost is higher than a coach seat so you'll have to consider your budget. 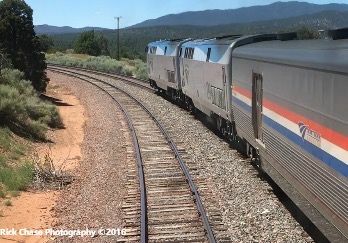 When booked in a roomette, you are on the train from beginning to end. 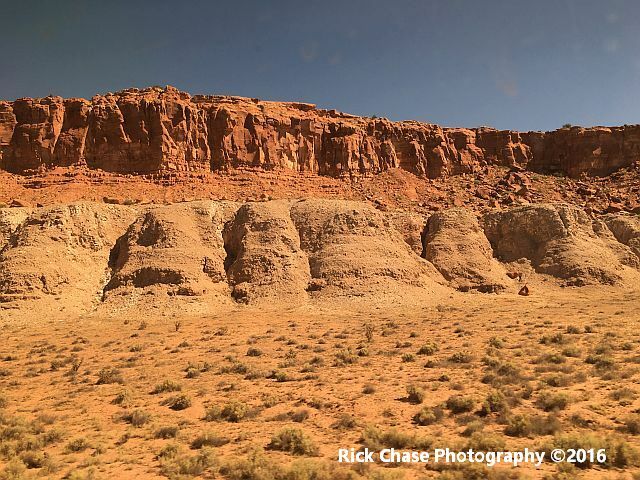 If you want get off during your journey to explore a certain town or city, and don't care about the sleeping (or lack of) accommodations, then you might want to consider the coach seat. 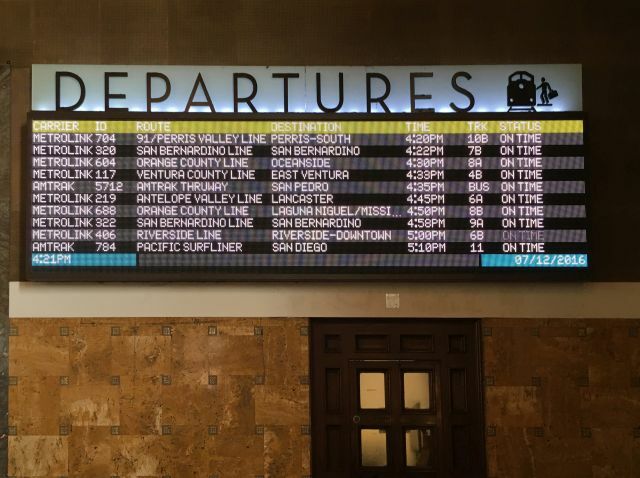 Just remember, that long-distance trains run throughout the night and it could be 3 AM when you arrive or depart from the station or city you want to visit.